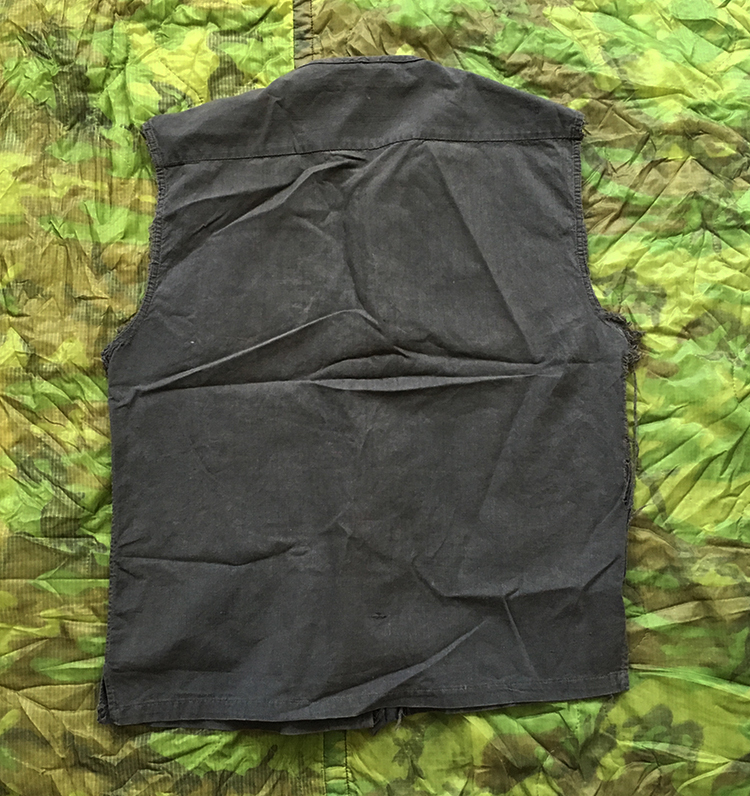 An example of a modified CISO (Counter Insurgency Support Office) produced black pajama top owned by SOG veteran Donald Maley (code name Sweet Pea). 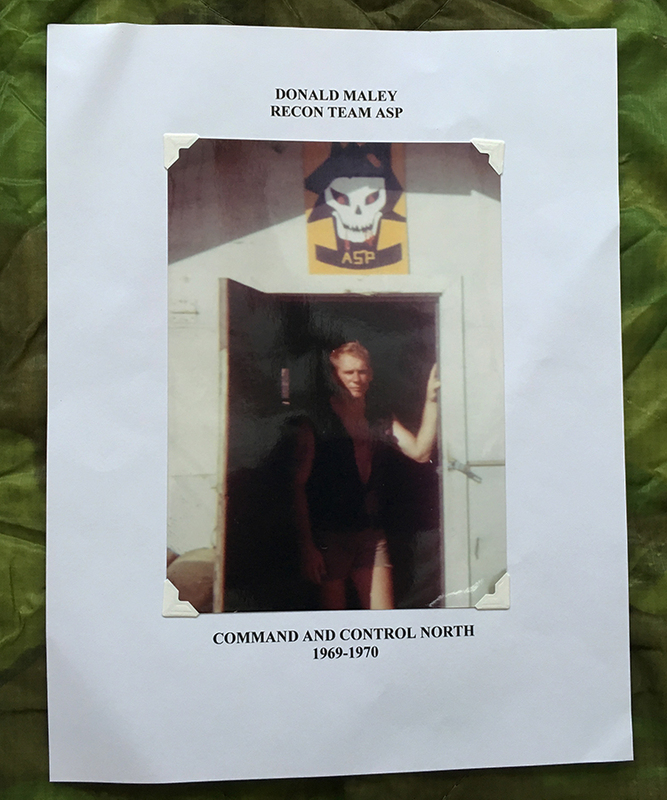 Maley returned to Vietnam for a second tour in 1969 and volunteered for MACV SOG Command & Control North (CCN) where he was assigned to A Company Hatchet Force. 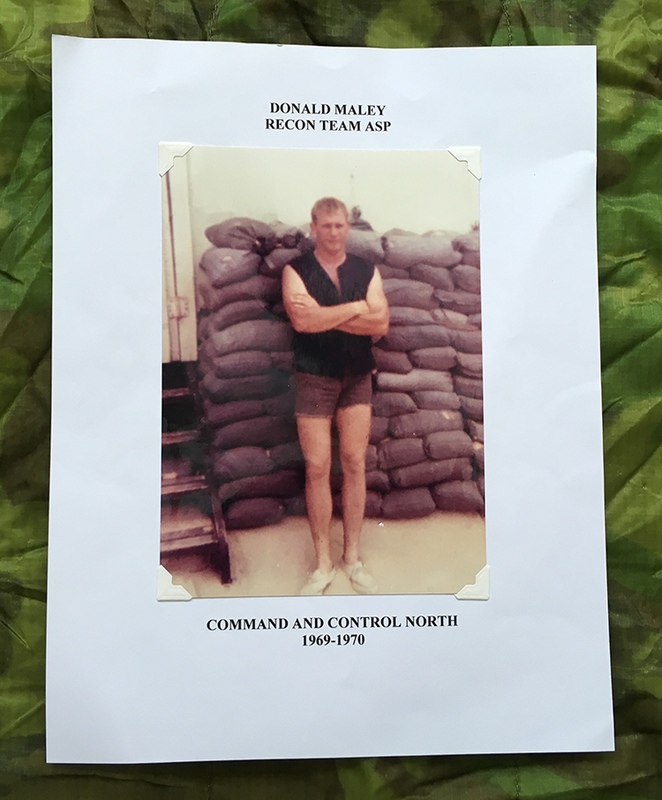 He transferred at the beginning of 1970 to Recon Company and assumed the 1-2 position of RT Anaconda. In April 1970 he took the Team Leader (1-0) of RT Asp. 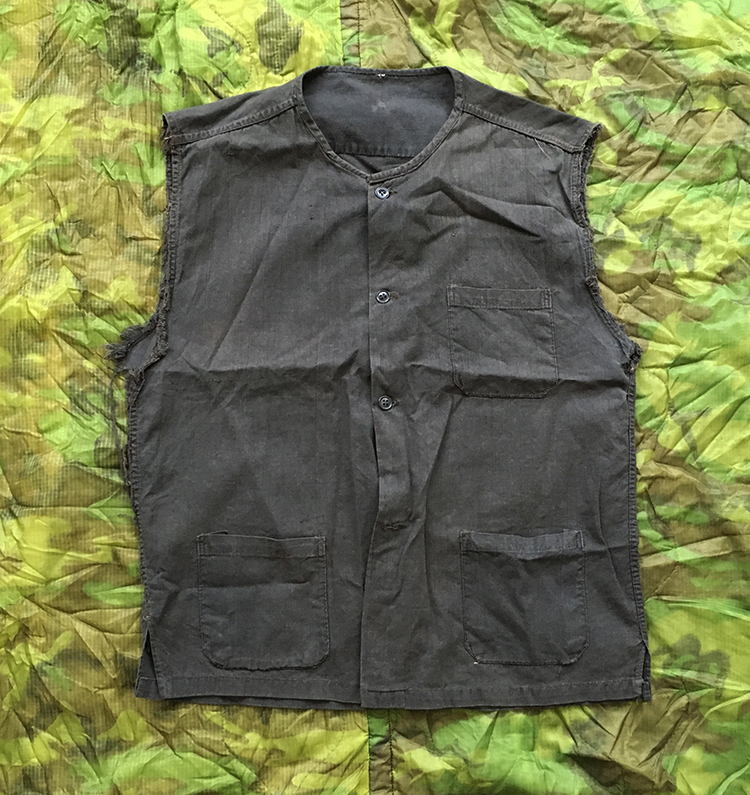 Maley can be seen wearing the vest in-country in the photos below. Courtesy of Guy at Brightlight Military Antiques and the Beau Brummel Collection and originally sourced via Jason Hardy.